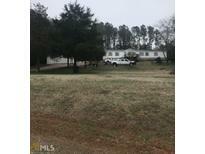 Find Social Circle, GA Homes for sale. View Photos, Maps and MLS Data Now! This Awesome Home Is Ready And Waiting To Welcome You Home To The Country. MLS#8566238. Carter'S Galaxy Of Homes. Azalea Farms - You Do Not Find A Home Of This Value And Quality Every Day. Hurry Before It Is Gone! MLS#8563271. Crossroads Realty Llc. Well Water No Offers Will Be Accepted The First 5 Days Of Listing. Cash Only MLS#8560045. Jackson Realty. Windsong - Over-Sized Garage For Two Cars And Storage MLS#8557872. Conner Smith Realty, Inc.. Enjoy The Location Close To Historic Social Circle, Athens, & Madison. MLS#8552973. 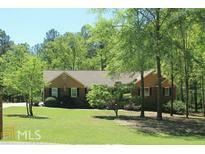 American Realty Pro Of Ga.
Property Is Just Minutes Away From I-20 And Stanton Springs. This One Won'T Last Long! ! MLS#8553492. American Realty Professionals. Don'T Miss Out On This One, Call For An Appointment Today! MLS#8552423. Morris Realty Co Llc. Laurel Oaks - Enjoy The Outdoors On The Front Porch Or The Deck In The Backyard. Come See This One Today! MLS#8552432. Morris Realty Co Llc. Investor Opportunity MLS#8552495. Keller Williams Atl.Perimeter. Home Just Down From The New Reservoir At Hard Labor Creek MLS#8551146. Conner Smith Realty, Inc.. Better Than Brand New In Historic Social Circle Remodeled New Appliances New H/A New Paint New Flooring Do Not Let This One Get Away Not Many This Nice In Social Circle In This Price Range MLS#8549197. Conner Smith Realty, Inc.. Deer Track - There Is A Chicken Coop, A Barn With Office Area, Kitchen Area And Attached Stables That Connect To The Pasture. And Room To Ride Atvs. 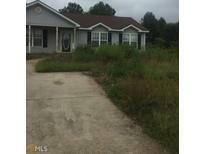 MLS#8546605. Southern Classic Realtors. Call Right Away To See It! MLS#8546204. Conner Smith Realty, Inc.. Notable Features Include: Master Bedroom On The Main Level; A Large Rear Outdoor Patio And Cooking Area; Outdoor Fireplace; 3 Car Garage; Large Sun Room; Separate Living Area & Separate Kitchen Area (In-Law Suite); Home Office; Hardwood Floors; Open Two Story Foyer With Curved Staircase; And Numerous Ceiling Fans Throughout. 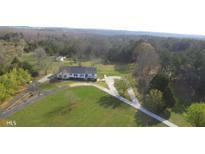 MLS#8544184. Georgia Forestland Investments. Windsong - Come Experience The Joy Living In Of Small Town America! 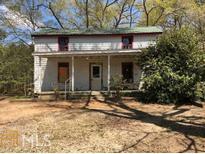 MLS#8544551. Coldwell Banker Gmr. Home Has New Roof And Is Located Near Hard Labor Creek. MLS#8537906. Mcginnis Realty & Appraisals. Don'T Let This One Get Away! MLS#8535824. Fathom Realty Ga, Llc. Town Park - Rocking Chair Front Porch In This Peaceful Community. 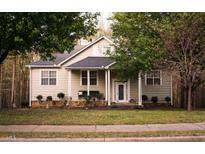 MLS#8534587. Keller Williams Realty Ame. $3,500 Towards Closing Costs With Use Of Preferred Lender, Eva Aycock With Acopia Home Loans! MLS#8530199. Morris Realty Co Llc. Laurel Oaks - Garage Has Storage Closet And Side Entry Door. Agent Is Related To Seller. 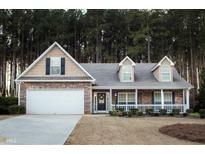 MLS#8529481. Keller Williams Realty Ame. 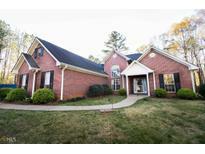 Country Walk - Zoned For Newton County Schools But You Have The Option Of Social Circle Schools W/Parent Transportation. MLS#8526195. Re/Max Agents Realty. Enjoy Downtown Living At Arbor Glen MLS#8524661. Morris Realty Co Llc. 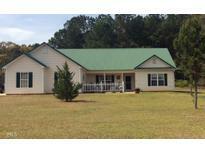 Walton County Estates - Call Agent For Details And Showings MLS#8523978. Keller Williams Realty Ame. Enjoy Downtown Living At Arbor Glen MLS#8520400. Morris Realty Co Llc. All Offers Are Subject To Third Party Approval! MLS#8520407. Morris Realty Co Llc. These statistics are updated daily from the Georgia Multiple Listing Service. For further analysis or to obtain statistics not shown below please call EasyStreet Realty at 404-998-4164 and speak with one of our real estate consultants.